I'm a bit obsessed with joy lately. Thanks, Marie Kondo and Netflix! Who says work has to be a place of dread and not a place of joy? Really, who came up with this BS? 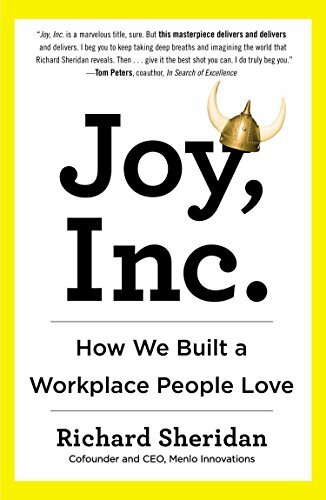 It brought me great joy to hear Richard Sheridan, the CEO of software company Menlo Innovations released another book on the topic of joy at work and we don't have to imagine anymore. It's no longer a dream because he is doing it. His first book is called Joy, Inc., where he shares about what happens if you build a different culture, one not on focused fear but one all about joy. Is there another way to work? He shares what they did to build a culture of joy and if you don't get inspired to make changes to your way of working... read it again! Menlo is a software company, and they do it. What's holding you back from creating a workplace joy? His latest book. 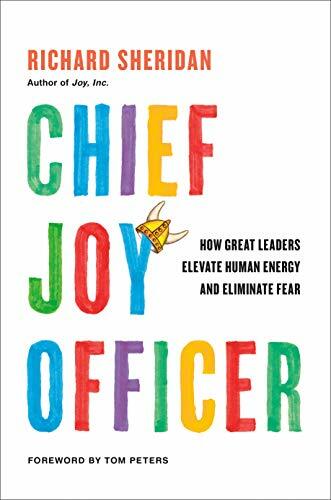 Chief Joy Officer, How Great Leaders Elevate Human Energy and Eliminate Fear is about how as leaders we need to have a mindset reset and become a Chief Joy Officer. What I enjoy about his books are that he's documenting the story, the journey of the company, the learnings, the results, and puts that into his books so you can do it too. It's not the usual, here's an idea I think the world needs and you should figure out how to do it. He did it in his company and wrote the books on it. Richard Sheridan's *mic drop goes here*. So if you are a heart-centric leader and you're looking for ways to bring joy to your work so that people can show up as themselves so they can do their best work, this is a great book to check out. If you have read either Joy Inc. or Chief Joy Officer, let me know what you think and if you've taken action. I want to hear about it! Joy in the workplace is no longer just a dream it's becoming a reality. Disclosure: Because NOT doing so would be unawesome. This post contains Amazon affiliate links that earn me a small commission, at no additional cost to you. I only recommend products I personally use and love, or think my people will find useful.